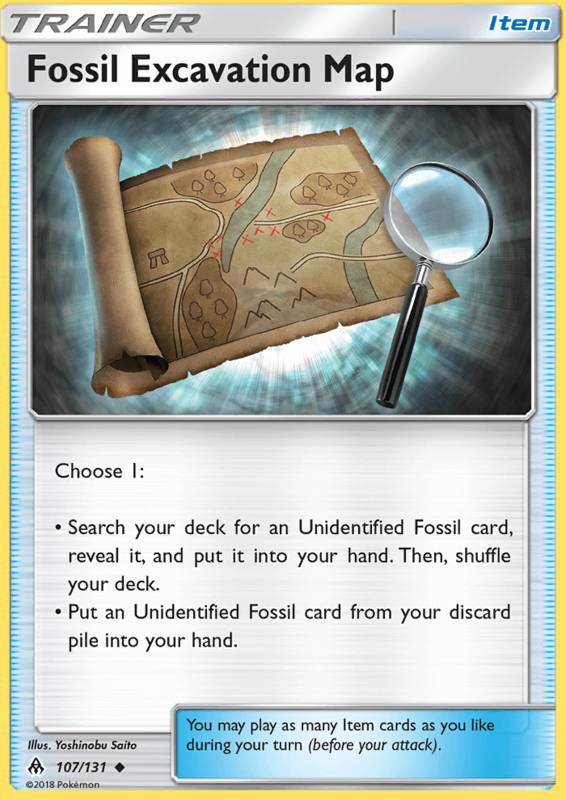 Search your deck for an Unidentified Fossil card, reveal it, and put it into your hand. Then, shuffle your deck. Put an Unidentified Fossil card from your discard pile into your hand.